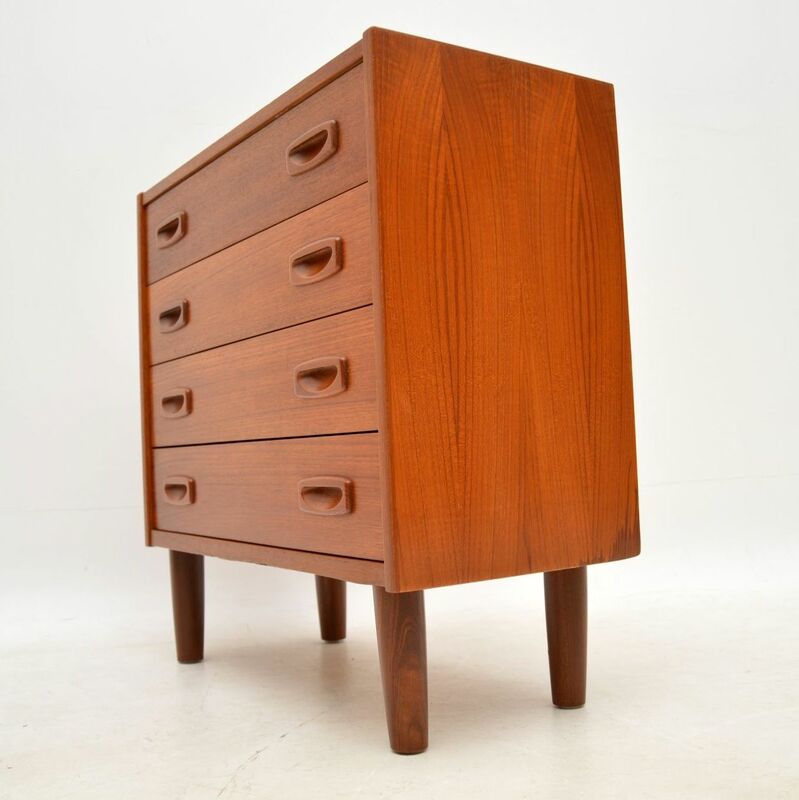 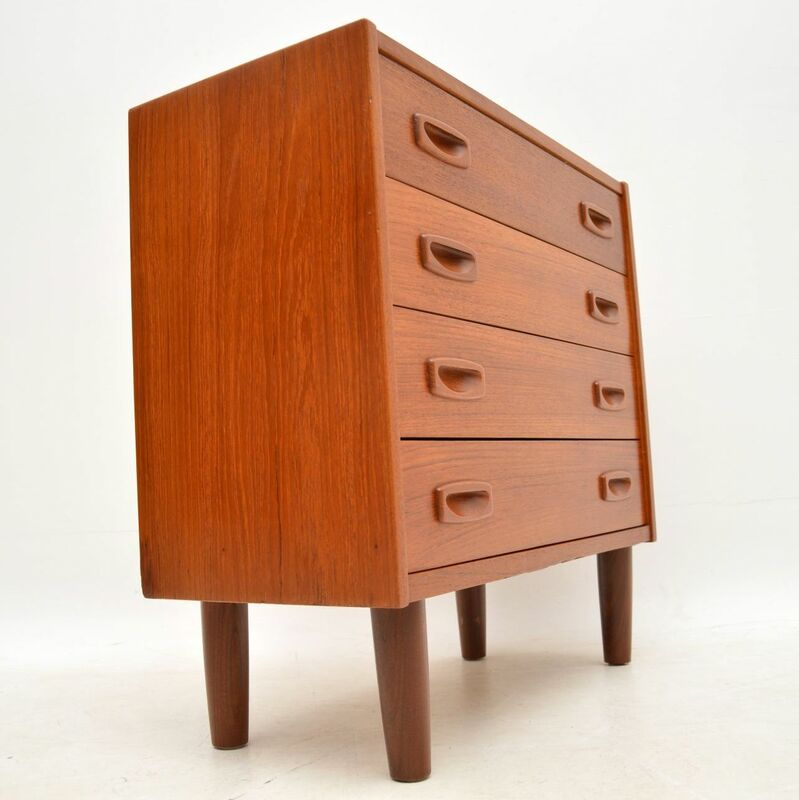 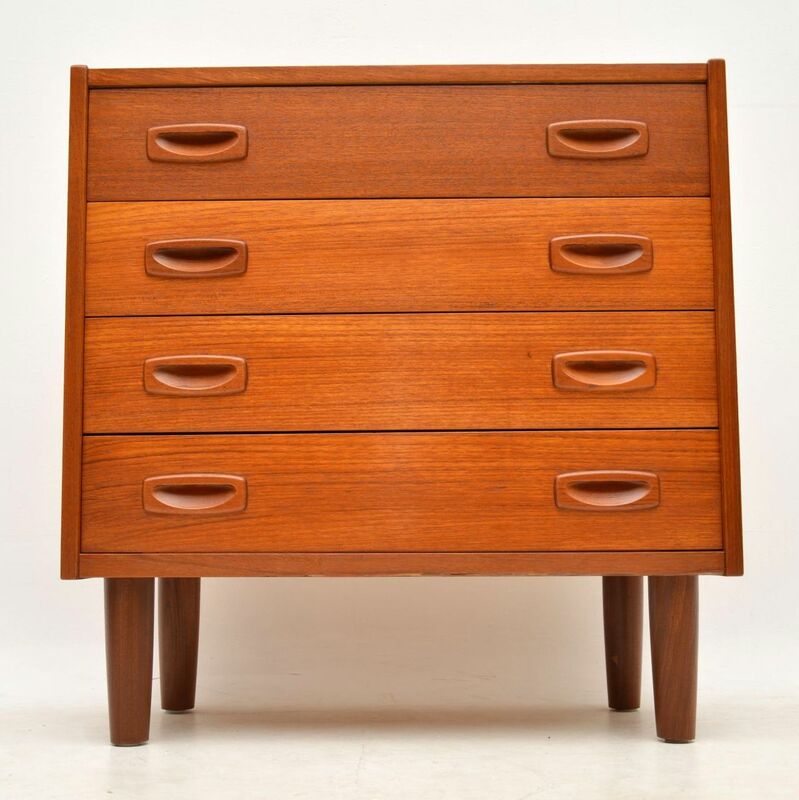 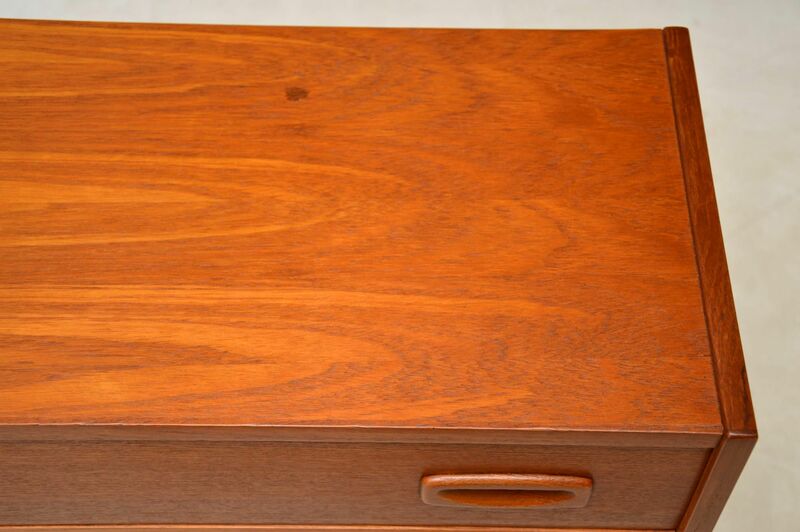 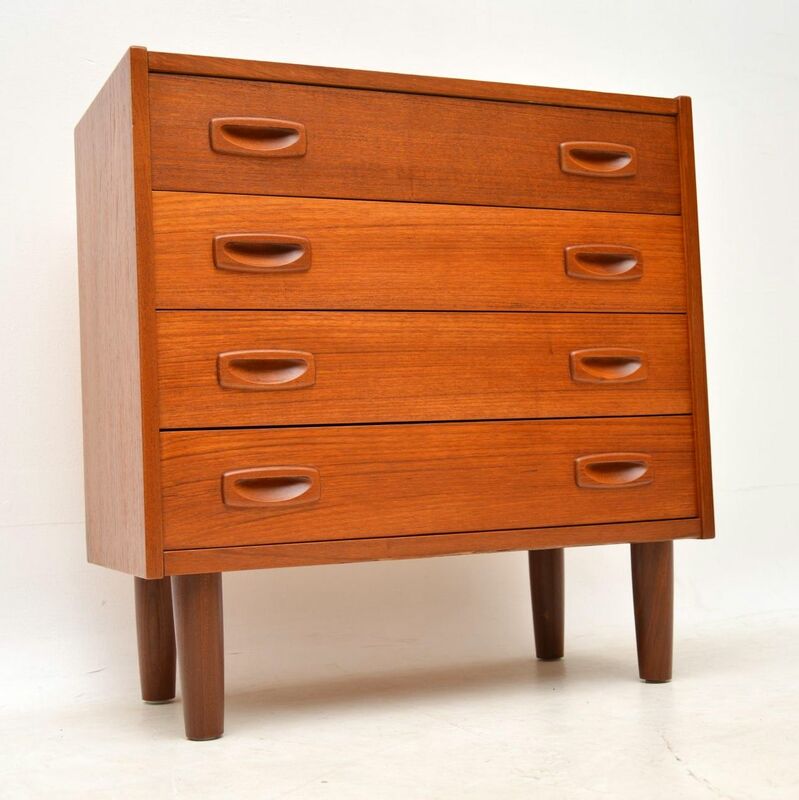 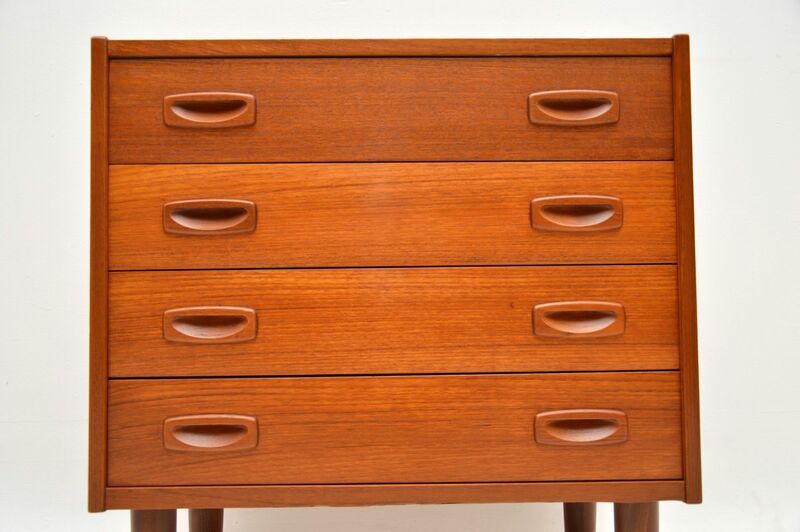 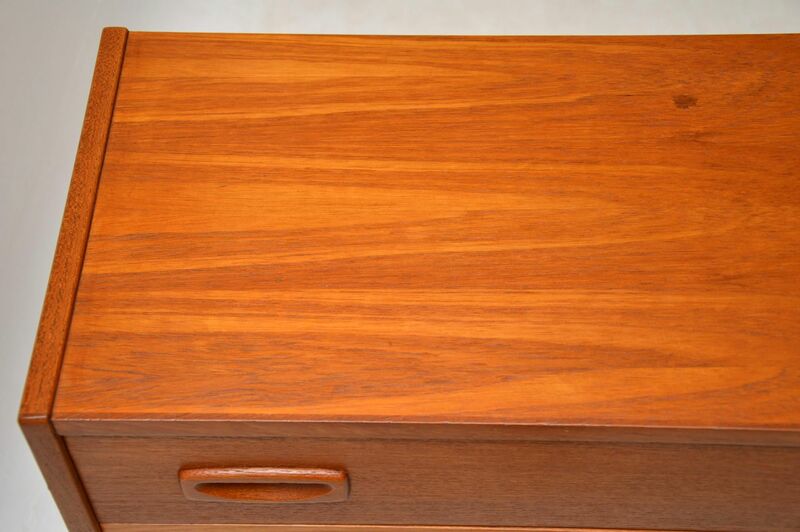 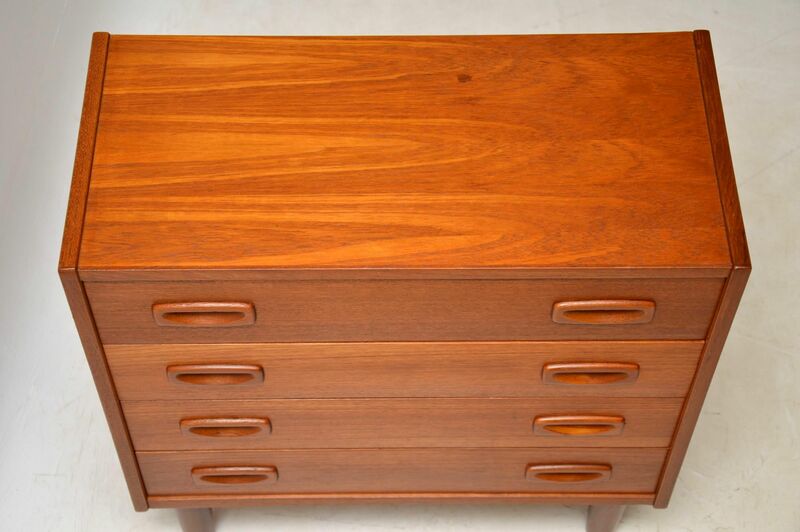 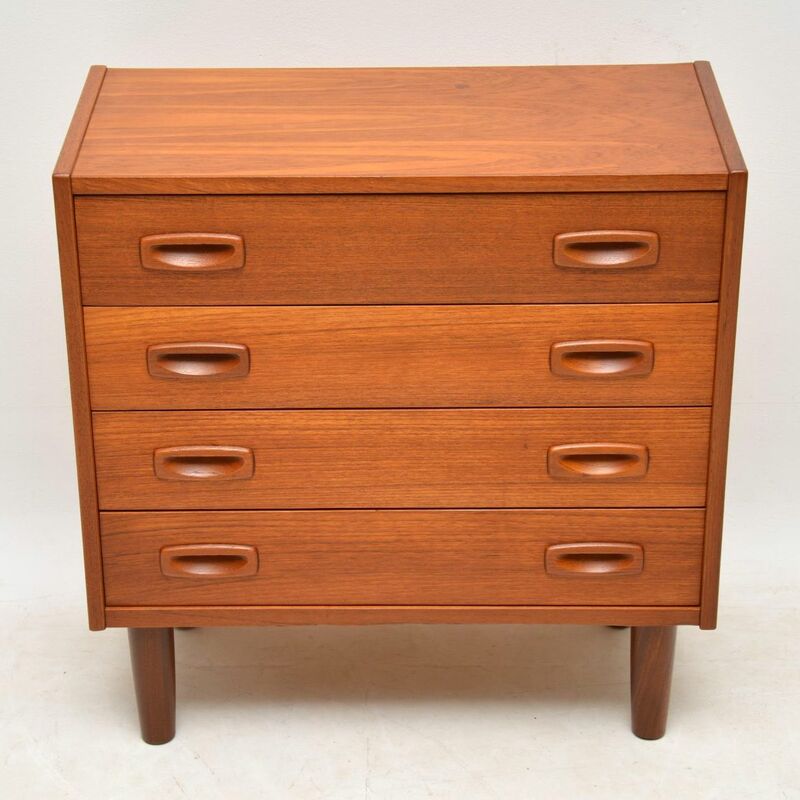 A stylish little Danish teak chest of drawers, this was made in the 1960’s. 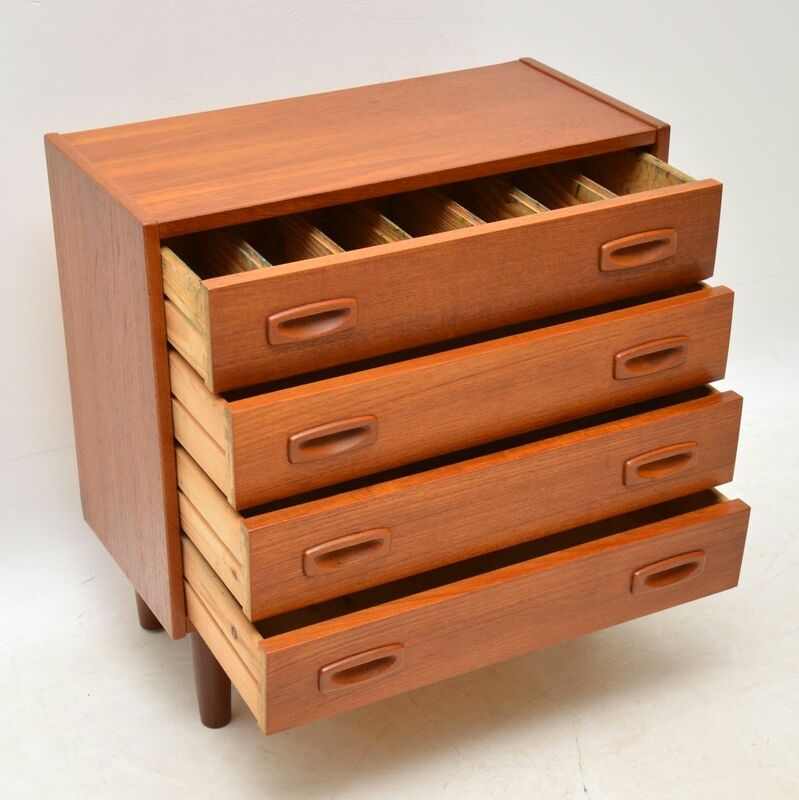 It’s a petite and useful size, with plenty of storage space. 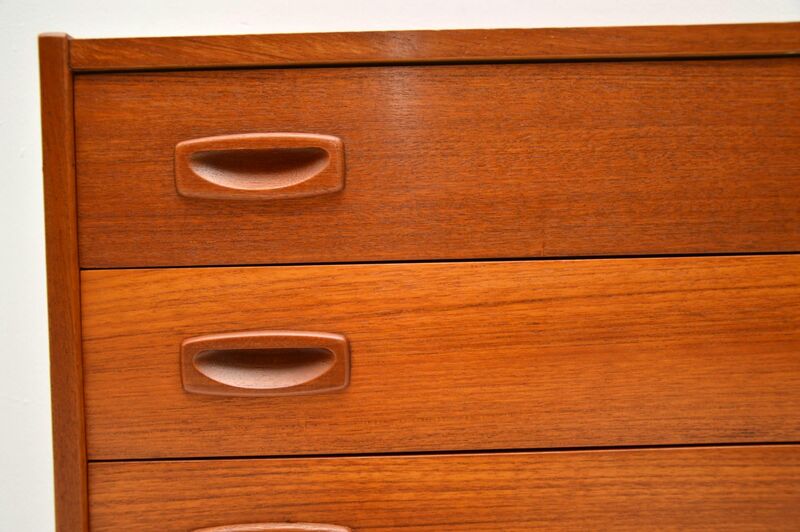 We have had this stripped and re-polished to a very high standard, the condition is excellent. 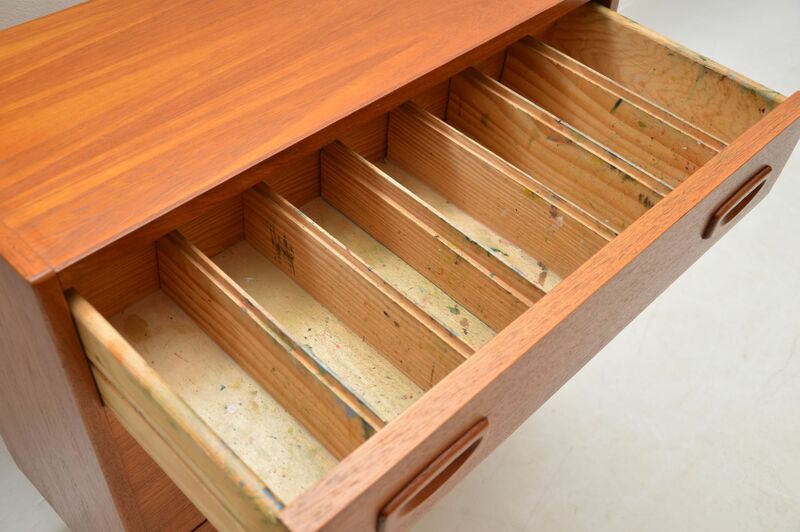 The top drawer has dividers and looks as though it was used as an arts and crafts drawer, as there’s still flecks of colourful paint inside, which we’ve left as it adds character!